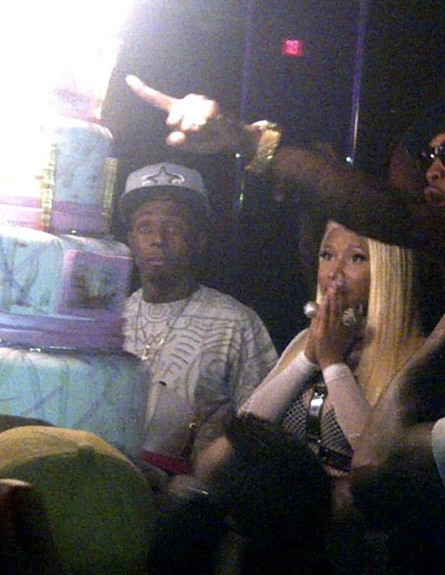 After a promo tour for her new Pink Friday: Roman Reloaded album, Nicki Minaj spent her Easter Sunday in Miami with her beloved YMCMB team. To celebrate her album's release, she had a gorgeous 4-tier Swarovski cake for her party at Fontainebleau Hotel. Check out the cake after the jump. 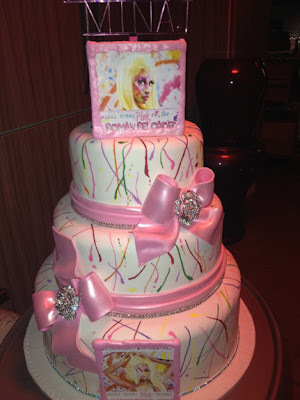 Pink Friday: Roman Reloaded in stores now!